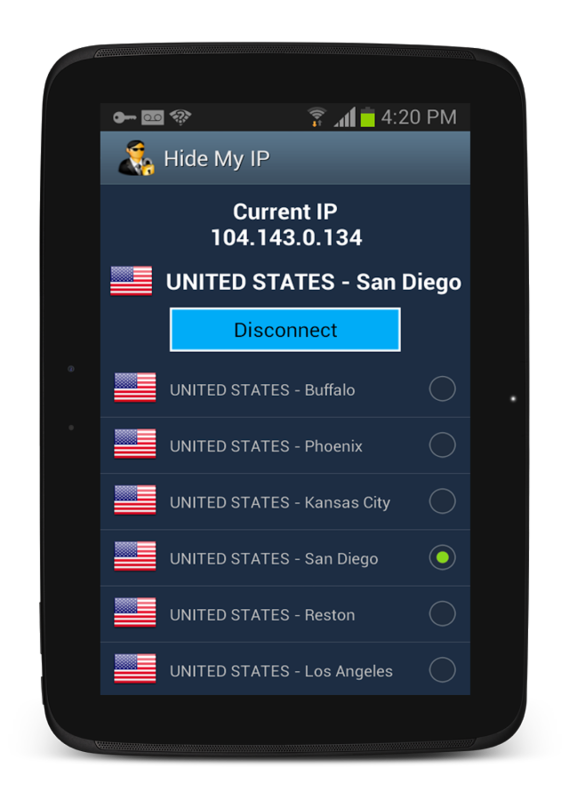 Hide My IP - Android App Review. Every kind of device or computer that goes online has an IP address, a kind of virtual identifier that is usually unique to the device. There is quite a lot of information one can deduce about a device from its IP, starting from the device's country right, whether the device is surfing the net using a cellular data plan or through a WiFi connection. Another thing that can be deduced is the device's exact locale, right down to a city or neighborhood, if the device uses WiFi connection. In fact, Google has an extensive map of existing WiFi hot spots, making it possible to narrow down the location to the specific bar or cafe your are sitting in while surfing the web. There are a lot of reasons why someone would want to hide or mask the IP he or she is surfing from, and in most free countries there is nothing wrong with changing your IP (take care: we are not lawyers and out opinion cannot be used a legal advice ...). 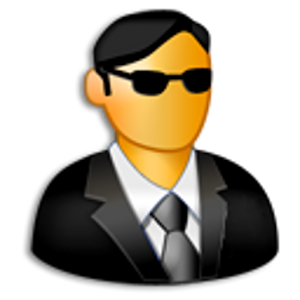 Hide My IP is a highly regarded app that does exactly that. Is it any good? Like we always do, we gave the app to our small host of reviewers and waited for their responses. First of all we were interested in ease of operation and the interface, since what Hide My IP does is quite complicated as it reroutes our data traffic to proxy servers across the world to hide our IP, and we were afraid of overly complicated user interface that will allow only professional and tech people to use the app. However, we were pleasantly surprised to discover the app actually was VERY simple to operate. Just install it, run it, select the country and the proxy you wish to use and presto, you're ready to go. All the complicated stuff is performed where you cannot see it, which is fine by us. But does this thing really work? Well, that answer to that is a resounding yes. We tried quite a lot of different websites that check your IP and they were all fooled by the app. Including Amazon,Pandora, Netflix, Hulu and more. They all worked like a charm. And what about the downsides? There were two things we were afraid off but the app handles both easily. The first thing is problems that might occur when we stop running the app or uninstall and the second thing is lags and delays because of rerouting our traffic. On both accounts, the app worked beautifully. We detected no problem when the app was closed down and we resumed normal surfing and there was a small lag when using the app, but selecting fast proxies in the USA and Canada made the lags so small they were hard to notice. It is the considered opinion of the vast majority of our reviewers that Hide My IP works beautifully, hiding the device's IP completely and it uses a simple user interface that allows everyone to use the app, not just tech savvy people. In addition, lagging and delays are VERY small. Score: 4.5. Great app. It would be perfect when future updates will contain the feature to change your device's MAC address. Description: A app that reroutes your device's data to a proxy, in effect hiding your device's IP address. Good Points: Easy to understand user interface. A lot of proxies and countries to choose from. Almost no delays in communication. Bad Points: No option to change our MAC address. Experience: The app is so easy to operate that everyone had it up and running in seconds. Choosing a good proxy is a little trickier but everyone found a proxy they were happy with in a manner of minutes. Longevity: For those who love their privacy or wanting to use services like Pandora unavailable in their country, this app became a must for their smartphone.